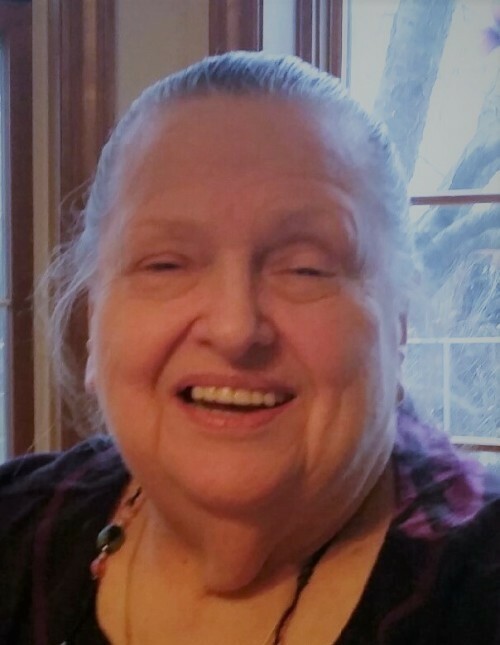 Rosalie Ferro, 85, formerly of Wilkes-Barre, died peacefully Thursday evening, surrounded by her loving family on April 11, 2019, in Highland Manor Nursing Home in Exeter. The family would like to thank the staff of Highland Manor, Dr. Torbik, and Hospice of the Sacred Heart for their love, care and concern for Rosalie. Born in Exeter, she was the daughter of the late Joseph and Pauline M. Grauzlis Faltyn and was a graduate of Exeter High School. A woman dedicated to her faith, she was a devote Catholic , and a member of St. Andrew's Parish. She helped out at many of parish events. She was involved with the Charismatic organization, attended many rosaries, prayer groups, and Christian vigils. Prior to retirement, she was a technician at Owens Illinois, and worked her way to the top as a Floor supervisor. Rosalie was such a compassionate, kind, and caring woman, she was known as the Mother Theresa of O and I. Her smile could be seen, a mile away, and her laugher could be heard everywhere she went. Her love of life could be felt by everyone who met her. To know her, was to love her. Her family was very important to her, and she called everyone and sang Happy Birthday to each of us on our birthdays. She was the ring leader at every family gathering. She loved nature, animals and dogs, and she always had mans best friend by her side. Ruby was her greatest joy, and she parented many animals throughout her life. Rosalie enjoyed traveling, and her and Joe traveled everywhere from Professional football games to Hawaii together. She loved the boardwalk, the beach and dipping her toes in the sand. She danced at numerous weddings, and was the first and the last off the dance floor. She enjoyed visiting numerous casinos, and dining at her favorite restaurants. She loved all genres of music, singing, and just loved life in general. Rosalie was preceded in death, in addition to her parents, by her loving husband, Joseph Ferro, whom she was married to for 40 years, and siblings, Raymond, Hubert, Anthony, Joseph Faltyn; Louise Millington, Marie Flannery, Pauline Faltyn and Anna O'Keefe. She is survived by many nieces and nephews, and great nieces and nephews who all loved her as a mom, and numerous friends. Funeral service will be conducted on Tuesday, April 16, 2019, at 8:30 am from the Lehman Family Funeral Service, Inc. 689 Hazle Ave., Wilkes-Barre, with a Mass of Christian Burial in St. Andrews Church, Wilkes-Barre at 9:00 am. Visitation will be from 8:00 am until time of service at the funeral home. Donations may be made in her memory to the Hospice of The Sacred Heart.